You are here: Home / Greening of Hedgerley / Greening even the Pool? Of course, maintaining our pool at all (originally a water tank) is hardly green. But given that mixture of indulgence and health rationalisations, has the enclosure we’ve now put up made it greener or not? The enclosure came directly from the Czech Repubic in a giant Ikea-style flatpack. Phil put it together with a little help from me over a few days and it’s been in operation since February. I’ve been able to swim since the beginning of March, which will almost double the length of the old swimming season. So what are the arguments on both sides? 1. We are putting heat into the pool for longer. The comes from the ground source heat pump and uses electricity from the PV panels and Good energy, which sort of counts as carbon free. 2. The enclosure had to be manufactured and driven from the Czech Republic. 1. The heating going to the pool would otherwise be going to the house, so perhaps we can manage without that or use the wood-burning stove more. 2. 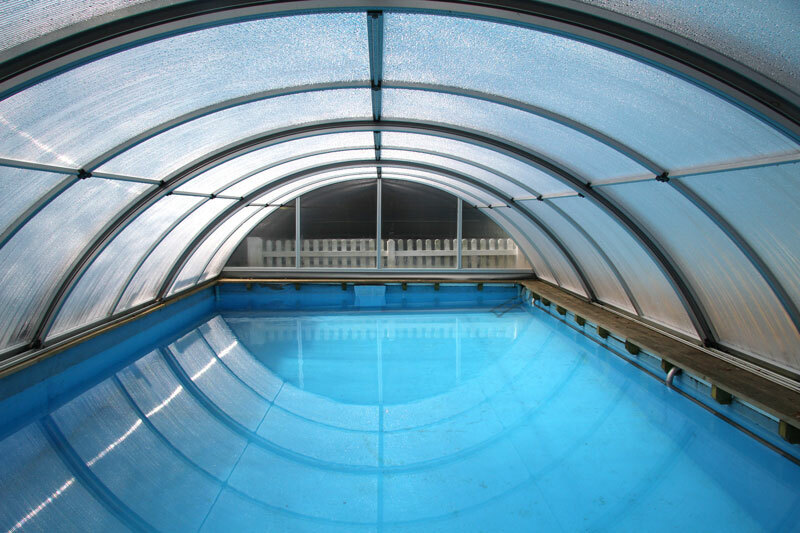 We will need less heating in the old swimming months because of heat retention and solar gain. 3. We definitely save water because the pool is protected from debris. It was previously emptied every winter and sometimes in the summer as well. 4. We save on electricity associated with pumping and filtering to keep water clean. 5. Phil is now adding extra insulation around the pool which should further conserve heat.